When attorney Lorena Fazetti finds her elderly client dead on the eve of remaking his will, she suspects foul play. She soon finds out that her suspicions were more than justified. Just before his death, he came into possession of the greatest historical find of the 21st century: Marco Polo’s journal of his travels, written in the 1300s and lost to the world ever since. It is unique, priceless, and still has the potential to revolutionize the politics of Europe, Asia, and beyond. But now the manuscript is missing again, and Lorena is caught in a high-stakes chase across the world, pursued by a deadly Italian mobster and a mysterious Chinese business concern intent on claiming the journal. As she begins to discover Marco Polo’s secrets, she meets Roxanne Davis, a freelance reporter who has been independently investigating the case. Forced together by circumstances, Roxanne and Lorena desperately try to stay ahead of the curse that devours everyone who touches the manuscript or tries to help them. In the end, they must face tests of their loyalty, friendships, patriotism, and courage…and, ultimately, their ability to stay alive. By 2015, nanotechnology could be a $1 trillion industry. This book surveys the entire field — technology and business — covering nanobots, molecular electronics, quantum computing, biostructures, nanotubes, molecular motors, nanosensors, and many other breakthrough applications to explain why nano is so exciting. Easy-to-understand explanations of every key concept, plus dozens of visuals are included. 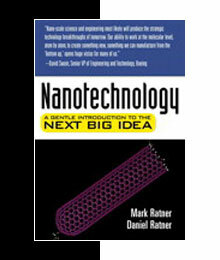 Intended for the curious layperson, this book offers a simple, concise, low-math overview of nanotechnology and its implications. Nanotechnology offers immense potential for fighting terrorism without sacrificing our open, free, and democratic society. 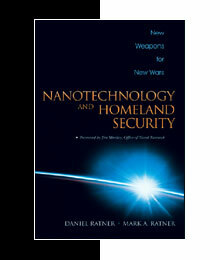 This book covers the significant opportunity to use nanotechnology to prevent terrorism and other threats to security as well as mitigate their impact. Co-authored by one of the field’s pioneers and featuring remarks from other nanoscience researchers and industry leaders, this book is for every educated citizen who wants to understand the weapons of choice in the battle of our generation.